- Buy ammo at discounted pricing all year long and save! - We always offer free shipping on bulk orders, with Prime you will receive free shipping on every order! - Members only emails with discounts and rebates direct from the manufacturer! - Prime Ammo Membership pays for itself with 3-5 orders of ammo a year! - During the 3rd quarter of the first year of your membership, you will receive free ammo based on your purchase history! 3 to 4 purchases and your Prime memberships pays for itself. Love the free shipping. 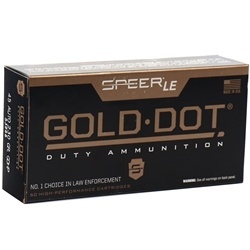 This has certainly paid for itself in the free shipping savings alone, add to it the discounted price for the ammo and bonus items received and I'm way ahead. Great purchase, free shipping and great deals, well worth the price! If you spend $1200 per year on ammo, this program pays for itself. On top of this, the special savings offers, rebates, and free ammo in the 3rd quarter are all gravy. If you shoot a lot, this program is a hell of a deal. If you spend $1250 it just paid for itself. After that it is all 8% savings and free shipping. Easily worth it. Response:Hi Ethan, As a Target Sports USA Prime Ammo Member your cost for the TulAmmo 9mm ammo for the 1000 rounds would be Prime : $128.62 Free Shipping! Response:Hi Stephen, nothing yet, its coming soon and as mentioned above, Prime Outlet will be a very useful features if ammo becomes hard to come by. Thank you for being a Target Sports USA Prime Ammo Member, you will see great value throughout the year. Response:Hi Todd, as a TargetSportsUSA.com Prime Ammo Member your cost for the CCI Blazer Brass 9mm 115 Grain ammo would be Prime : $165.42 Free Shipping! Thank you for buying in stock 9mm ammo at Target Sports. Response:Hi Gil, you will save money on ammo no matter what you buy. If you wish pricing on specific ammo please email us at prime@targetsportsusa.com and we will respond back with your inquiries. Thank you for buying in stock ammo at Target Sports. Response:Hi Lucas, we are hoping to have the Prime Outlet completed and rolled out in about 2-3 months. Prime Outlet will be a great feature when ammo becomes in high demand. Response:Hi Jacob, The PAM Outlet is still under construction/development stage and once all the details have been resolved, it will feature great ammo deals at amazing prices. Response:Hi Brian, no it is not, PAM Prime Ammo Membership offers lots of value including the Mystery ammo box and such. This Membership is not for everyone. Response:Hi Robert, as you can see from previous reviews, savings with PAM Prime Ammo Membership, savings on ammo are very aggressive and it will not take a long time for you recoup the value and start saving on ammunition. Thank you buying ammo online at TargetSportsUSA.com. Response:Hi Joseph, we do have a section that is called "Prime Outlet" and unless you are a member you do not have access to. It is in early stages, however it will be very exclusive to members only. Thank you for this great question. Response:Hi Josh, all PAM orders print out on a separate printer and that printer gets the priority every day. That being said, we try our best to get all prime ammo orders out the same day, assuming its a working business day for us. 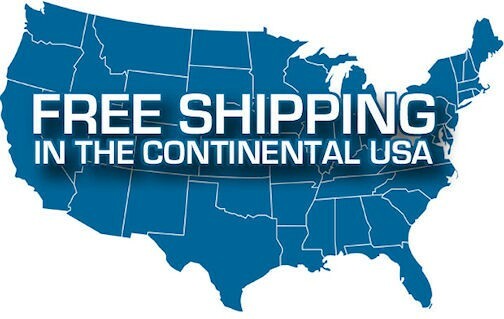 Thank you for visiting TargetSportsUSA.com and considering Prime Ammo Membership. Response:Hi Carlos, I am very sorry to hear that. However it would be a good thing to resolve this issue with the driver or come up with a good mutual solution that works for both of you not just for our packages but coming to you from everywhere else. Thank you for visiting TargetSportsUSA.com and inquiring about Target Sports USA Prime Ammo Membership program. Response:Hi John, YES we are 2 weeks away from making UPS our primary shipping company. Both companies are good and bad in their own ways. Thank you for being a Target Sports USA Prime Ammo Member. Response:Hi Tony, as of right now we are still accepting new Prime Ammo Members, however once our capacity is full, we may suspend it until we can further accommodate the process. Last thing we want to do is compromise our service, shipping, prices by being unable to service our current subscribers. Thank you for visiting Target Sports USA. Response:Hi Daniel, it is 8% less then what you are currently seeing. Thank you for visiting Target Sports USA Ammo Prime Program. Response:Hi Luis, this delay is primarily due to our move to a brand new facility. Once the move is complete, we will be fully automated and all orders will ship within 30 minutes after order has been placed. That is our goal. Thank you for your patience and support. Response:Hi Dale, yes you will to the any Freight Forwarder of your choice and then it is on you to get it over to Alaska. Thank you for considering Target Sports USA Prime Ammo Membership. Response:Awesome, Thank you and you will love it. This is the best program and we are not sure how many more members we will accept this year, before we close it. Thank you for becoming a PAM. Response:Hi Jon, Target Sports USA Ammo Prime Membership costs $95.00 per year. In general terms if you spend approx about or more than $800.00 per year on ammunition it will pay for itself and more. Thank you for considering on becoming a Target Sports USA APM. Response:Hi Nigel, there are no different levels of Prime Ammo Membership. 8% is very aggressive given that we work with relatively small profit margins to begin with. Thank you for buying ammo online at Target Sports USA. Response:Hi Calvin, with the Prime Ammo Membership Federal Lake City 5.56x45mm NATO Ammo 62 Grain Green Tip Penetrator Bulk 1000 Rounds in Ammo Can ammunition would cost you: Prime : $321.95 Free Shipping! Response:Hi Leon, as a Target Sports USA Prime Ammo Member for Fiocchi 223 Remington ammunition you would pay Prime : $266.62 Free Shipping! Thank you for considering of becoming a Prime Ammo Member. Response:Hi Andrew, The discount price for the Prvi Partizan 7.62x51mm 145 Grain FMJ Box of 20 would be Prime : $10.11 /$0.51 Per Round. Thank you for considering becoming a Prime Ammo Member. Response:Hi Gregg, by becoming a Target Sports USA Prime Ammo Member you would save about/approximately 8% less than what you see now as a regular price. Thank you for considering Target Sports USA Prime Ammo Member. Response:Hi Thien, No we did not remove the Mystery Ammo Box from the Target Sports USA Prime Ammo Membership package. Mystery ammo boxes are being shipped out everyday and you will get yours. Thank you for being a Target Sports USA Prime Ammo Member. Response:Yes all ammo mystery boxes are being processed right now, and we do thank you for your patience and support. Response:Hi Jonathan, Yes, the mystery ammo boxes are going out this week. Thank you for your patience. Response:Hi Daniel, you cal always send us an email with the ammo products you normally buy and we will reply with the Prime pricing. As noted below in previous q&a's Prime Ammo Membership is very aggressive in pricing and it also offers free shipping on eventing you buy, regardless of quantity. Thank you for visiting Target Sports USA. Response:Yes you will Dave, even if we have to send you your Ammo Mystery box to an local FFL near you. Thank you for visiting Target Sports USA Prime Ammo Membership program. Response:Yes we do Robert take that into account. Last thing we want to do is send you a box of 45 AUTO ammo, when in fact you do not even own a 45 ACP AUTO Caliber Handgun. Thank you for visiting Target Sports USA Prime Ammo Membership. Response:Pricing is very aggressive Paul and you will save tons and tons of money by joining our Prime Ammo Membership. We will not disclose savings on this page, however if you email us we will reply back the Prime Ammo prices based on the few products you pick. Thank you for visiting TargetSportsUSA.com Prime Ammo Membership page. Response:HI Scott, has the issue with the Ammo Prime Membership been resolved yet?? If not, you can email me directly and we can get it fixed. Response:Ammo Prime Membership "AMP" includes every single ammunition product we sell on TargetSportsUSA.com including all the popular ammunition brands such as Federal Ammunition, Remington Ammunition, Hornady Ammunition, Winchester Ammunition and many others. 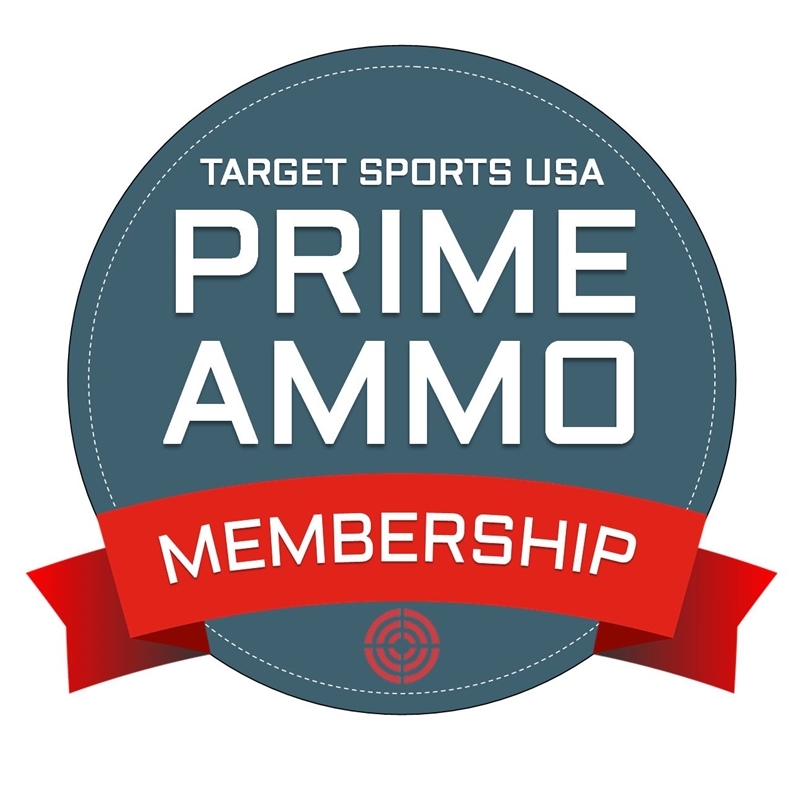 Thank you for visiting Target Sports USA Ammo Prime Membership Program Page.